Mike Vrabel is Ohio State's sacks leader. Mike Vrabel is the only Ohio State football player with over 30 sacks for his career. 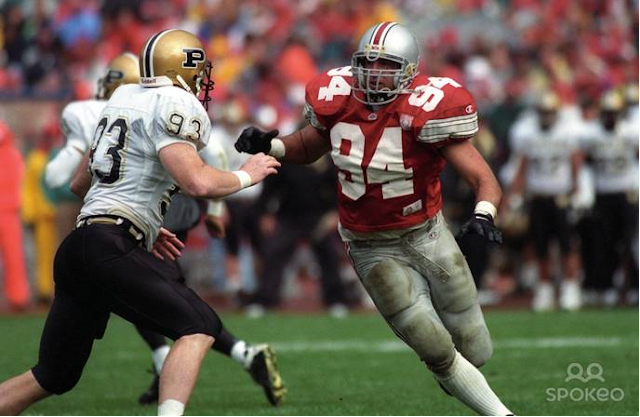 Vrabel's 36 sacks are 8.5 more than the player listed second on Ohio State's all-time sacks list. What is amazing is that Vrabel (36) and Matt Finkes (25) combined for 61 sacks between 1993 and 1996. I'm sure the quarterbacks playing in 1997 were very happy that Vrabel and Finkes graduated in 1996.